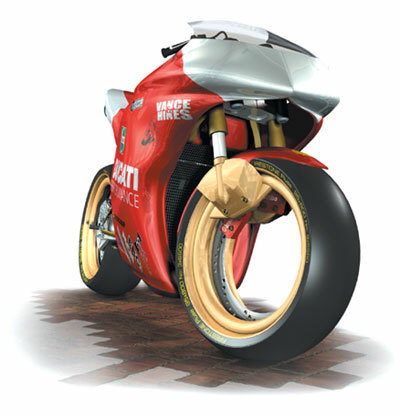 This is Roger's own design of a Hub-less 1000cc Superbike. His dream is to produce a full size model, to show at the Annual "NEC Bike Show." Senior Designer Roger Bastow is a conceptual designer specializing in corporate and retail identity, retail brand development, retail and business interiors, point of purchase display systems and interior exterior signage systems.